In most Zelda games, you’ll find a specific pattern repeated throughout every dungeon. One of these being the mini-boss of each dungeon and usually, they’re pretty easy to defeat (unless they have something more complicated to them). You can even find them outside of dungeons! There are tons of mini-bosses, sometimes some are brought from a previous installment to another. But the question here is: Which is your favorite? To read more into it, hit the jump to check it out! I’d like to throw a few ideas out there for mini-bosses, to help get your minds on mini-bosses! There’s of course, the infamous Darknut- they’ve appeared as normal enemies, then mini-bosses, then normal enemies again! But fighting them one-on-one for the first time is definitely an experience. They’re by far one of the most skilled enemies you face throughout the games, as they require patience and skill from the player themselves. If you’re like me, you would gladly try taking on 4 at once (which is possible in the Cave of Ordeals). It just depends on the challenge you’re looking for, to each his own! 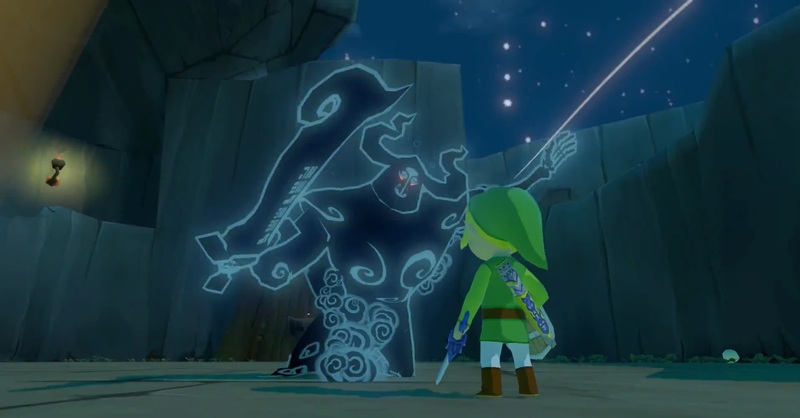 Of course, there’s Phantom Ganon, as well. He’s appeared a few times as a mini-boss, and a few times as a dungeon’s boss, too. The main idea of fighting this boss is to, well, play tennis with him. After Phantom Ganon fires a blue orb towards you, you basically have to hit it when it’s near, and he has to do the same. So, in other words, it’s tennis. At some point, Phantom Ganon screws up and gets hit by the ball (is that a foul? ), it leaves him vulnerable for you to lay waste to the little sucker. All in all, Phantom Ganon is fun to fight. The only time I’ll play tennis and enjoy it. So, with just those few laid out for ya’, there are so many others throughout the series and tons in each game. So with that in mind, which would be your favorite? There’s always Stalfos, Wart, etc- or do you have a favorite to begin with? If you don’t have a favorite, then perhaps you have a favorite boss in general? If so, I’d love to hear your thoughts and opinions, so sound off in the comments! 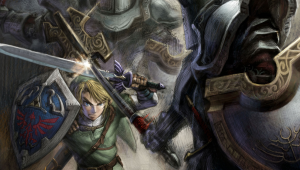 As a side-note, I’d like to throw the option out there to quote Phantom Ganon there on that photo. I think his reaction to his loss in tennis is one for the books.